The RSF-backed Prema driver - who was second fastest in the day's earlier session - will line up fourth on the grid for both races alongside Carlin's Antonio Giovinazzi. Prema team-mate Felix Rosenqvist claimed pole for both races to add to the pole position he landed for race one in the first of the day's sessions. It is the F3 veteran's third clean sweep of the season. The Swede will be joined on the front row for both races by Van Amersfoort's Charles Leclerc. 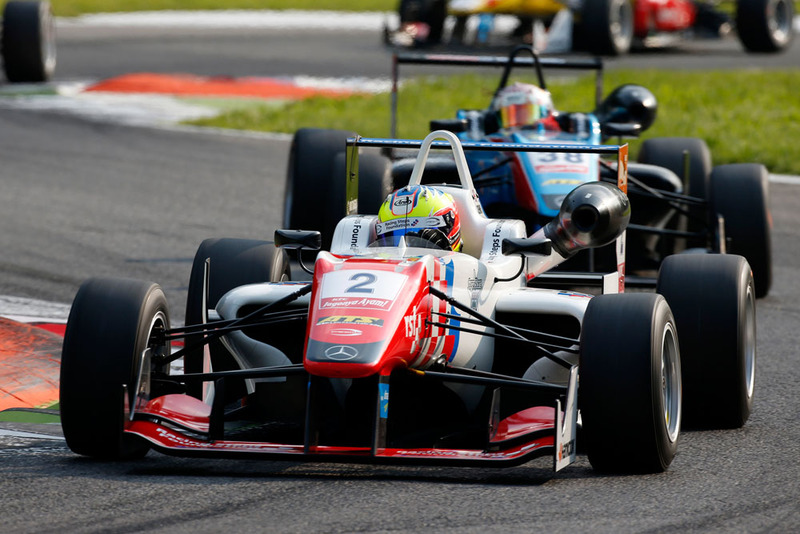 Dennis had posted the second fastest lap in qualifying for the first Formula 3 European Championship race of the weekend at Monza tomorrow. But the Prema driver drops from the front row to seventh for the start as a result of a five-place grid penalty he picked up following an incident in the final race at the previous round of the championship at Pau. The penalty was handed down after a track rod on the double Pau winner's car snapped, leading to a late-race collision with Motopark's Sam McLeod. The grid-drop partners Dennis with Carlin's championship leader Antonio Giovinazzi on row four. Prema team-mate Felix Rosenqvist secured pole - his fifth of the season - with an early 1m 43.766s lap which Dennis, after finally breaking free from traffic, got within two-tenths of as the session drew to a close. Mucke's Santino Ferrucci steps up to fill the front row void left by Dennis. "It's a shame about the penalty," said Dennis. "But, provided I get a decent start, I've got a much better chance of making up lost ground here than I would have at other circuits on the calendar."